Help us build a patchwork of 3D scans! A simple yet challenging challenge! It will require a balance of technique and originality. It is also a great way to use the Free version of Zephyr at its full potential. You don’t need a high number of photos and we are sure the entries will be clever and inventive. 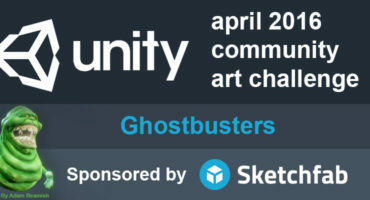 We are very curious and excited to see what the Sketchfab community creates in this unique challenge. TL;DR: 3D scan an interesting piece of ground, crop it into a square, upload to Sketchfab, tag it #SquareScanChallenge and set it to downloadable. Scan a piece of ground with your preferred scanning software / workflow. Recommended model specs: less than 10k faces, 2048 x 2048 colour texture. Set your model to downloadable so we can add it to the combined scene. 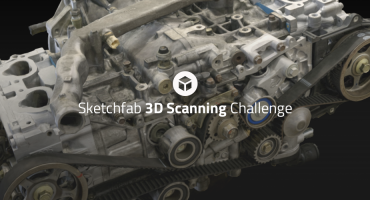 Once you’ve created your scene, upload it to Sketchfab, tag it #SquareScanChallenge. Share work-in-progress, tips and ask for advice on the challenge thread in the forum! 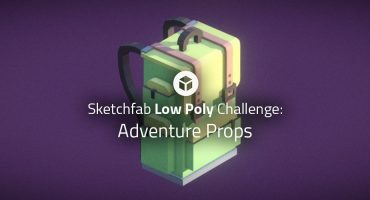 Contestants models must be uploaded to Sketchfab and tagged #SquareScanChallenge to be considered. The winners will be contacted by Friday, January 26th. Great, count me on ! Really cool exercise! All de PG models look great except from the headphones look a bit broken! Let us know when you update the mosaic! I only had time to download, clean, decimate and combine 25 squares though – hope you like it!